Five models in a variety of dimensions display a female feel and look with stylishly understated detailing. Each watch showcases the legendary diamante pattern which has inspired this line. This brand-new launch complements the Diamantissima Jewellery collection while offering towards the modern lady a brand new new style. Made in colors of stainless and whitened (32mm, 27mm and 22mm) or pink gold PVD with black and matching black calf leather strap (32mm and 27mm), the diamante pattern sticks out around the cases, that are made in tone-on-tone stainless or contrasting colours of black and pink gold PVD. Four models include minimalist dials without numbers, although a more compact, precious variant (22mm) is labored having a mother of gem dial highlighted with four diamonds at 12, 3, 6, and 9 o’clock. 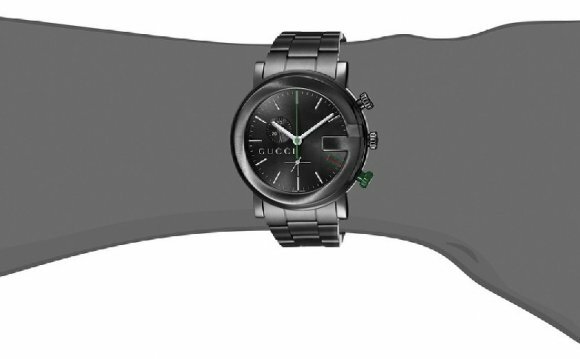 The Gucci logo design and ‘Swiss Made’ quality stamp are etched underneath the azure glass at 12 and 6 o’clock.